Tickets for the Los Angeles concert, priced at $45 to $250, go on sale 10 a.m. Sept. 13. OB were one of the best live bands ever. Saw them only once at Bogart’s in Cinci. Boingo reunion tour… Oh please, please, please, please, please, please…..
Everyone knows him from Boingo, but he’s really one of those “stealth composers” like Mike Post. Imagine how much money Elfman’s made, if he gets a little royalty cut every time the Simpsons theme has been played on TV over the years. you know he’s married to Bridget Fonda. Come to Portland! Ive been waiting 18 years for this!!! Are you sure tickets don’t go on sale until the 13th? I checked the website and it seems like most of them are already gone. 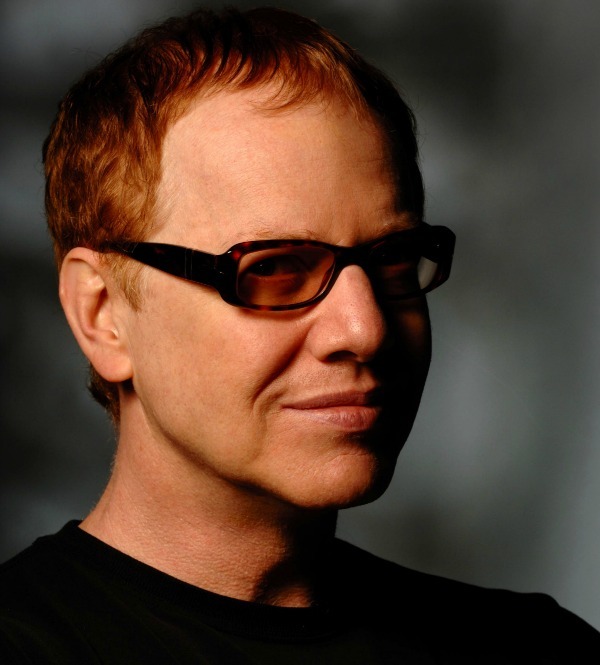 Please tell me I’m wrong, for as much as I love Mr. Elfman, dropping $250 a ticket is rough 9I’m only a humble starving musician myself). The tickets have been on-sale as a pre-sale since before last weekend. Got mine last Friday. You will need to use pre-sale code of NIGHTMARE. Wow, so the guy who wrote the Simpsons theme was in that band I’ve never bothered checking out cos they’ve got one of the worst names in rock history? Well you learn something new every day! Ok then, which record of theirs is the best starting point for the newcomer? Anyone? Concert in Orlando or Tampa Florida …… PLEEEEEAAAAASSSSEEEE!!!! I saw Oingo Boingo at Irvine Meadows on Halloween night in 1987. An amazing show and I feel so fortunate to have been there. I still have the concert sweatshirt I bought :) I also saw them at the 1983 US Festival! I would sell part of my soul to attend this upcoming show is S. CA. OMG!! a good place to start is with the Oingo Boingo Anthology album. It has a wonderful representation of all the different stages the band went through. Then follow that up with the live DVD of their farewell performance at Universal Studios. I agree with April, one of the best live bands ever. Danny is a rare gem. First saw them at the Whiskey in 1980 and would kill for a ticket for the upcoming film music. With over 20 Boingo shows under my belt during the 80’s I’d gladly throw out a hip, shoulder & ankle to get to thrash dance my way through just one more show. Super late to the party but I must say that I’m glad that I was blissfully ignorant of this event. Oingo Boingo is my favorite band and has been for all of my adult life+ (far too long) and I distinctly recall the interview where he said he would NEVER play live again due to his hearing loss. I’ve love/hated him for that ever since I heard that. Google is evil sometimes. Of course, I had to search for more and hear that he played last October. *So* hard to understand. I would just love to smack someone.